As my 7 year old said to me today, Happy Halloween First! A fun Halloween family tradition that I have shared before is Boo'ing and today you have officially been "BOO'ed" 👻. You are IT and you must join in the fun! People are counting on you. 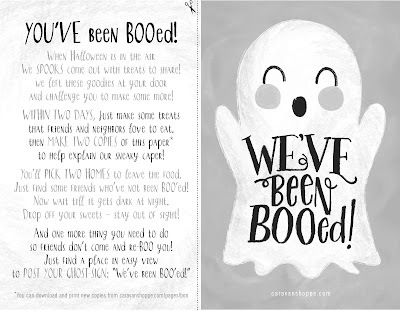 To get a better idea of what Boo'ing entails visit last years post HERE. Honestly, my digital images last year were pretty lame. You can do a quick search on Pinterest and get a lot of fancy (better) printable options. 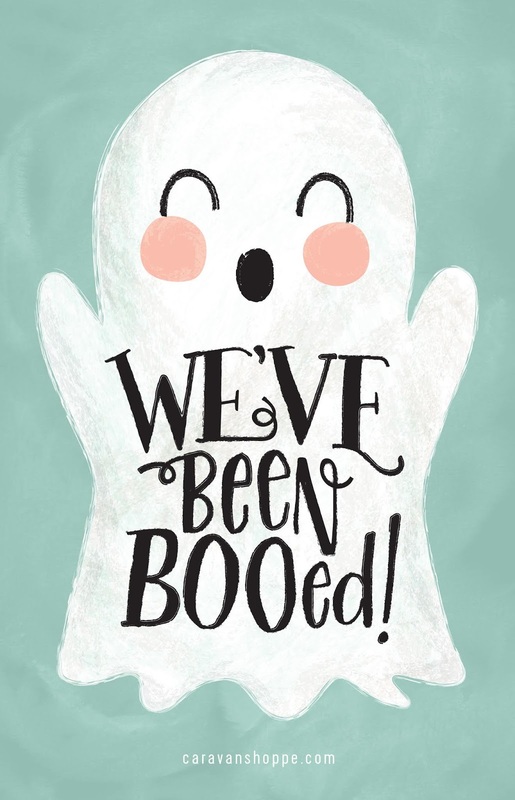 In my defense-- last year we Boo'ed about 30 people and the monsters even had the unique (and unforgettable) experience of having a gun pulled on them (only once-- good times). 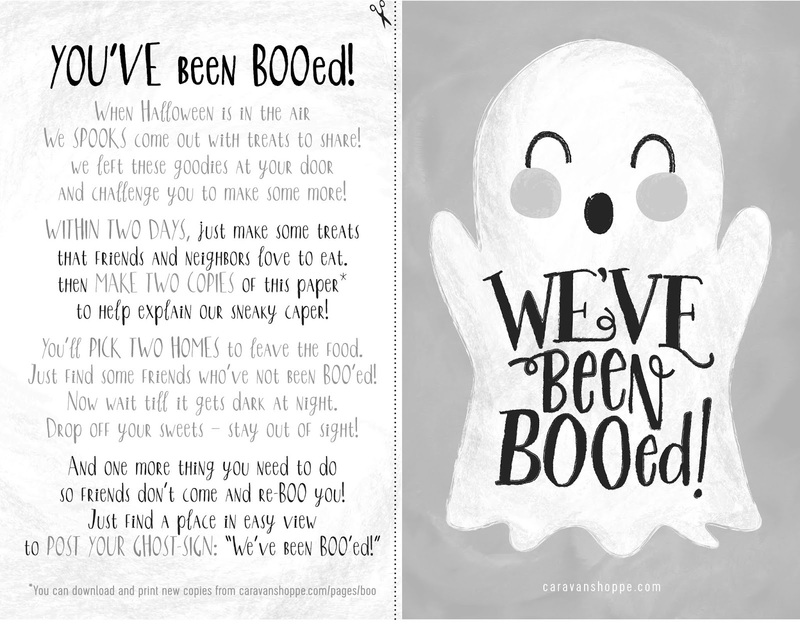 To get the printout for the ghost you have been Boo'ed with click HERE. Caravan Shoppe is one of my absolute favorite digital sites. There are several freebies and this kit is one so hurry over and download all the goodies. Visit Caravanshoppe.com to download a copy!